When it comes to hair removal, men really only have to contend with their face. And, they don’t even have to take of all the hair that grows on it. They have over fifty types of beard styles from which to choose. Fifty! Imagine that. And, even if they don’t want to shave for a few days, the stubble looks quite attractive. “Ruggedly handsome” some would say. In fact, surveys often reveal that women prefer their men with a little bit of facial hair. Women, on the other hand, contend with hair on their legs, armpits, bikini area, and face (chin, eyebrow, upper lip). Some women also deal with hair on their arms. We don’t have a range of styles from which to choose. We usually have to remove it all. For the past several years, however, there’s been a “no shave” movement. Millennials are especially into it. They feel that it’s empowering to be free and insist that society should not judge women by their appearance. In December 2017, LOVE Magazine displayed an online video of model Gigi Hadid with dark stubble on her armpits. The Internet and social media immediately went wild. Those supporting the “no shave” movement vigorously defended Ms. Hadid’s right to appear any way she wished. They are absolutely right. A woman has the right to look any way she wishes and no one, repeat, no one, should ever judge her by her looks. Yet, Ms. Hadid wore makeup, attractive athletic gear, her hair was expertly styled, and she was working out her body. She no doubt cared about her appearance, as did LOVE Magazine. So, what was the point? 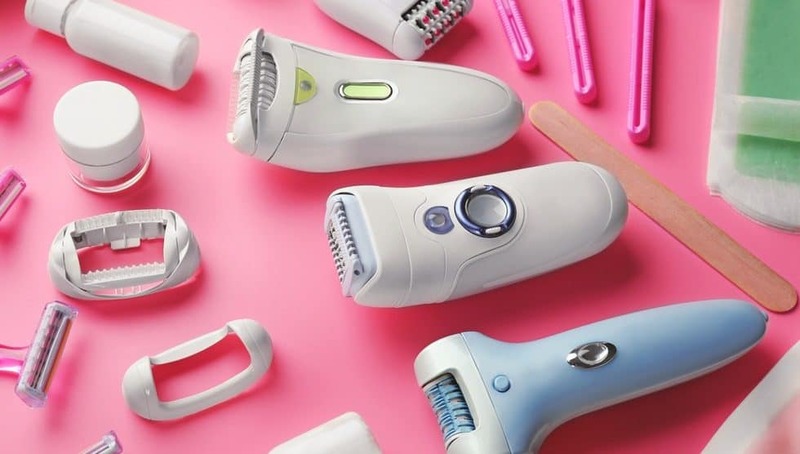 Which Epilator is Right for You? Let’s be serious. Ms. Hadid is breathtakingly gorgeous. Yet, that underarm hair was terribly unsightly. It was all you saw. Ms. Hadid’s powerful beauty was not enough to overshadow it. And, really, what’s wrong with caring about your appearance? What’s wrong with wanting to look your best? Such thoughts don’t mean you support society judging you on your looks alone. We want men to care about their appearance and we also want them to look their best, too. It doesn’t diminish their value, minds, or drive. It heightens it. Why can’t the same apply to women? Strong, independent, empowered women are most certainly allowed to care about their appearance and want to look their best. So, if you want to remove your armpit hair, as well as the other hair on your body because it makes you feel good about your appearance, feel free to do so. Do what makes you feel good about yourself. That’s what independent, free-spirited women do. A woman can remove her body hair in a number of ways. She can shave, tweeze, apply hair remover, wax, or use an epilator. Some epilators are wet and dry, meaning you can also use them in the shower, where the warmth opens your pores and lessens the pain. (Some women, however, don’t like using it in the shower as it makes the device and their hairs wet and slippery. It’s a personal preference). Make sure the epilator clearly states that it removes hair from the root. If it only removes hair from the surface, your results will hardly last and the epilator really isn’t worth it. An epilator that comes with an efficiency cap is optimal. It establishes ultimate skin contact, which provides faster, more comfortable, and more effective results. Accessories like messaging heads and a cooling glove are also optimal. The massage system activates the skin prior to and after epilation. The cooling glove cools the skin nicely after epilation. A built-in light is also very good. It makes it easier to see where you need to go and what you are doing. This two-speed epilator utilizes Braun’s MicroGrip tweezer technology, meaning that the tweezers are lengthier, deeper, wider, vaster, and more precisely remove hair. It has a light, works both wet and dry, can be cleansed under water, has massage rollers, and a skin contact cap. It works everywhere on the body and results last for up to four weeks. It also comes with a shaving head facial cleansing brush, so you can turn the epilator into an electric razor and facial cleansing device. Once charged, it works up to forty minutes. It received very high marks. In fact, it’s very highly rated epilators and the one with the most consumer satisfaction. Most articles that discuss epilators recommend this one. The only negative comments concerned the epilation process, not the epilator. Those with extra sensitive skin may encounter irritation with initial uses. You cannot use the device while it’s charging, though. Braun may have arranged this so that people wouldn’t use the device wet (as a safety precaution). You get a lot of value for your money and users felt it was worth every penny. This two-speed epilator comes with forty tweezers and Braun’s “Close Grip Technology,” which allows for easy holding and better removal of tiny hairs (smaller than 0.5mm. Such equals roughly 0.02 inches). Its flexible head lets it work well over your legs and in hard-to-reach place all over your body. It comes with a cooling glove and features a light and massagers. A speed personalization feature lets you reduce the speed and lessen the sting during epilation. You cannot, though, use it on your face. Most users were quite pleased with this reasonably priced epilator. Complaints primarily concerned the cord. The device must be plugged in to use. Some would have preferred a cordless model and others also felt that the cord was too short. This cordless, rechargeable epilator features a light and massagers, and can be used for up to forty minutes. Vibrating hair lifters effectively remove even flat hairs. It’s washable, works all over the body, and comes with a travel pouch. Its narrow head allows for easy maneuvering and for that reason, users rated it very high for use in the bikini area. It’s washable and easy keep clean. Primary complaints concerned ingrown hairs (See tips. Exfoliating before and after epilating helps reduce the risk of ingrown hairs) and confusing instructions. This two-speed, mid-priced epilator features a light, hypo-allergenic blades and a pop-up trimmer to trim bikini hairs (important. See tips). You also get a travel bag. It can be used both wet and dry and washes easily under running water. Its broad head allows it work anywhere on your body, it easily conforms to your curves, and a gentle head attachment works on sensitive places. It can be converted into a razor and pedicure buffer, which can soften callouses and dry skin on your feet. It’s cordless and can work up to forty minutes on full charge. It has only forty-eight tweezers, so you might assume it’s more painful, yet most users said that it was the least painful epilator they ever used. It uses side-to-side gliding and such seems to lessen the discomfort. In addition, it has two epilation heads: 1) a wide dual disc; and, 2) gentle epilator. You can switch between the heads when removing hair from sensitive areas and reduce the sting even further. The mid-cost is actually low, considering all you get. Most users were very pleased with their purchases. Complaints, if any, concerned displeasure with performance and ingrown hairs (See tips. Exfoliating before and after epilating helps reduce the risk of ingrown hairs). This medium priced, dry use only, corded device offers seventy-two tweezer heads, two speeds, and dual heads. Such lets the epilator work a larger surface and reduces the number of times you must pass it along your. It’s, therefore, a very quick epilator. Its quick speed also helps reduce the sting. Results last for up to six weeks. Its patented “glide technology” utilizes a middle lifting finger that raises hair better removal. It works well on dark and rough hair and lessens the risk of ingrown hairs (just using an epilator increases the risk of getting ingrown hairs. See tips. Exfoliating before and after epilating helps reduce the risk of ingrown hairs). It was the first device to provide Silver Ion Technology, which protects against bacterial infections. It’s ergonomically designed, easy to use, and glides along your body’s curves. It doesn’t, however, have a light or an efficiency cap. Most users gave it positive reviews and were pleased with their purchase. It’s considered a great value for its cost. A few complained that it sometimes didn’t get fine hairs and that the quality decreased with time. It also tended to get hot, about which you should be aware, should you want to use it on a sensitive area. And, while you can use it anywhere on your body, it’s somewhat bulky for facial use. This two-speed, corded, mid priced device features a light, massaging dual heads, and comes with a precision cap for easier use in sensitive areas. It can be used anywhere on the body, forms to your body’s curves, and is designed to remove very small hairs. Users gave it high ratings and were pleased with their purchase. Some complained that epilation took a while and that regrowth happened too quickly. This two-speed corded epilator is dry use only. It’s ergonomically designed, so it’s very easy to hold and use and comes with an efficiency cap. It’s small, though. It only has twenty-seven tweezers, while other epilators have more than seventy. Such means that epilation will take longer. About two-thirds of those who purchased it gave it positive reviews. It’s very affordable, which was also a plus. Others claimed it was loud, painful to use, and irritated their skin. It’s really only for use on your legs. If you can shave or tweeze your own hairs, why bother buying an epilator? Well, when you shave your legs, your hairs grow back almost immediately and, three days later, you need to shave again. You pretty much have to shave your armpits daily and you also have to check the hairs on your face each and every day. With an epilator, you can go weeks without having to check anything and, within a short time, will only have to use it once a month. We’re not going to mislead you. Epilation can be painful, especially the first time. The epilator is literally tearing out hair from the roots. Public comments on purchase sites often the discomfort. Most are from first time users who vow never to use the epilator again. That’s unfortunate because those users will realize subsequent use less painful. Always keep in mind, too, that satisfied users swear by epilators. They go up to four weeks without having to do anything about their bodily hair. How many times do you shave under your arms? Daily? Your legs? Two -three times a week? If you only count your legs twice a week, you’re shaving 104 times a year. With an epilator, you only have to use it once a month. Imagine only having to remove the hair on your body just twelve times a year. 104 vs. twelve. Twelve is certainly a much nicer number. You pay for the device up-front, but nothing further afterward. So, in the long-run, it’s less expensive than waxing, hair removal, and shaving. Subsequent epilations, in addition to being less painful, are also quicker. Women who use epilators are absolutely crazy for them and won’t ever use anything else. They say that the devices changed their lives for the better and that they will never use another hair removal system. They love about the smooth, long lasting effects. They have no issues with discomfort associated with epilation and feel that the results are well worth it. Once again, epilation is going to hurt, especially the first time. Keep in mind, it will get better and that you will build up a tolerance. When it comes to epilators, patience and perseverance are truly virtues. For your first epilation, the second day after shaving would be ideal. Hair at that length keeps pain at a minimum. The epilator would have trouble grabbing onto shorter hairs and longer hairs would only increase the pain. Some women take an oral painkiller, such as aspirin, acetaminophen, or ibuprofen before epilating. They say it makes the pain much more bearable. It’s not necessary to do so, but if you feel it would help you, by all means, feel free. Make sure, though, to follow instructions and your doctor’s approval. If your epilator is cordless, make sure it’s fully charged. You certainly don’t want it conking out mid-epilation. Make sure you have at least an hour to dedicate to epilation. Epilate in the evening, so any irritation will resolve by morning. Use low speed at first. It will help you adapt to the discomfort. Those with coarse hair may also prefer lower speeds, too. Higher speeds may break off the hair, rather than pull it out of the root. Holding the epilator at a ninety-degree angle. Gently glide it against your skin and go against the grain of your hair. Use your other hand to stretch out your skin. Don’t press down. Take your time. There’s no rush. You want to make sure you get every hair. When you’re through, moisturize and apply cold compresses. Some epilators come with cooling gloves, which work nicely. Some users recommend witch hazel, tea tree oil, or aloe vera cooling gel. Clean and dry your epilator (very important). If this was your first time, congratulations! You did it! The worst is over! It only gets easier. Now, marvel at your gorgeous, smooth skin. Wait until your hair is about 0.5mm before re-epilating. At first, your hair may grow back faster (this could account for online complaints). Don’t get frustrated. A few experts even recommend epilating every few days at first. Keep up the work and you’ll soon be thrilled with your results. Exfoliate again as soon as you can and every week thereafter to keep on preventing ingrown hairs. Your armpit skin is delicate and you should use an epilator that especially works well on the underarms (Braun Silk-epil 9 9-579, Panasonic ES-ED90-P). The above advice regarding showering and exfoliating applies, as epilating when hair is relatively short – about two days after shaving. Remember to keep your skin taut. Initially glide the epilator along at forty-five degree angle and go against the hair grain. Once you get accustomed to the feeling, you can go to a ninety degree angle. When you’re through, wipe away pulled hairs with a damp and cool off with cool compresses or cooling clove. Don’t forget moisturizer and continued exfoliating. And, again, clean your epilator. Use an epilator that’s highly rated for the face (Braun Silk-epil 9 9-579, Panasonic ES-ED90-P) or buy a separate one that’s made specifically and only for facial use. First make sure that your face is clean. Wash away all dirt, grease, grime and makeup. The hairs you want to remove should be at least a quarter inch in length. Unfortunately, you have to let them get that long for the epilator to work well. Once again, exfoliate your face prior to epilating. A facial scrub and/or facial exfoliation brush work well. Don’t apply any lotions prior to epilating. The same advice above applies to the face. Hold your skin taut, go against the hair grain, apply cold compresses, moisturize, and exfoliate. Don’t forget to also clean your epilator. Since the area is extremely delicate and sensitive, in order to lessen the pain, it’s highly recommended that you trim down the hairs before epilating and work in small sections. Again, the above same suggestions apply. Make extra sure to keep your skin taut. The best epilators for the bikini area are: Braun Silk-epil 9 9-579 and Panasonic ES-ED90-P.
You might want to use the epilator to get rid of hair from your arms and men can also use an epilator. Once more, the same suggestions apply. Make sure to exfoliate, moisturize, and keep the epilator clean. There’s all this talk about ingrown hairs and how to prevent them. So, what exactly is an ingrown hair? It’s a hair that grows to the side and then curls right back into the skin. Though it’s relatively harmless, it can look bumpy, unattractive, and get infected. Basically, any type of hair removal increases the risk of ingrown hair. The thicker your hair, the higher your risk. As stated above, exfoliating is the easiest way to prevent ingrown hairs. It removes dead skin, which traps the hair. Toner, the kind that treats acne, especially ones that contain salicylic acid, treat ingrown hair. The Internet also describes ways you can remove ingrown hairs. Take caution as doing so could lead to infection. See your physician or a dermatologist for assistance instead. As mentioned, the women who use epilators love them and wouldn’t use anything else. They do it for themselves because it makes them feel good. If that’s something you want to do, feel free to go ahead and use one. That’s the benefit of being an independent, empowered woman.